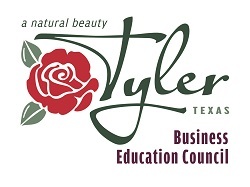 The Tyler Area Business Education Council is a 501C3 organization funded by local businesses, educational institutions and family foundations and is overseen by the Tyler Area Chamber of Commerce. The mission of the Council is to connect education to economic development in an effort to secure a more educated workforce and a prosperous local economy for the residents of Tyler and Smith County. In Smith County today, 35% of residents possess an associate degree or higher. Yet according to the Georgetown Center on Education and the Workforce, 65% of U.S. jobs will require some form of post-secondary education by 2020. With this gap in mind, the Tyler Area Chamber of Commerce and City of Tyler came together to establish the Tyler Area Business Education Council in 2012. Since its inception, the Business Education Council has worked with partners in all sectors to elevate education as one of the region's most critical issues. The Council has served as an organizer of stakeholders and as a partner to businesses, schools and colleges or universities in developing new programs, facilities and events to assist area students and families and to ensure that local workforce needs are properly aligned with available educational programs and skills training. In 2014, the Business Education Council launched the Tyler Area Partnership 4 Education, a Collective Impact initiative modeled on work being done to improved educational outcomes in communities across the United States. The goal of the partnership is to use the principles of Collective Impact to increase the number of Smith County residents possessing a post-secondary credential or degree to 60% by the year 2025. Together with the Council members, there are over 40 Smith County organizations working together in the areas of Kindergarten Readiness, Middle to High School transition, Post-secondary Readiness, Access and Success and Workforce Integration. If you have any questions or would like to learn more, please call 903-592-1661 ext 252. It's that time again! We are excited about our 4th annual citywide celebration to promote student preparedness for the upcoming school year. We hope you will join us in providing critical supports to thousands of Tyler area families. If you or your organization provides a product or service to students and their families that you believe would be a good fit for this event, please click here: http://schooliscool2017.eventbrite.com to submit your information and payment. A booth fee of $25 for nonprofit organizations and $50 for all other organizations is required. Vendors are chosen according to relevance and booth availability. The deadline to apply is June 30, 2017. You will be notified by July 14, 2017 if you have been awarded a space at the event. Please note that space is limited. If you are planning to distribute information at the event, we had several thousand attendees at the 2016 event! If you are interested in making a financial contribution ($20 will purchase one filled backpack), click here www.Schooliscooltyler.com. Our goal is to provide 1,500 backpacks to attendees! It’s no secret that internships are the most effective way for students to gain experience before graduation. Research shows that seven out of ten students who have had an internship with an employer are hired for a full time position by the same employer. Connecting students with local companies helps educate the next generation of our workforce by keeping talent and top businesses in the Tyler area. 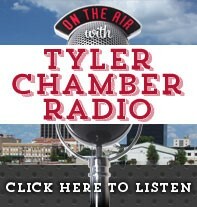 In support of this goal, the Tyler Area Chamber of Commerce and Tyler Area Business Education Council have partnered with internships.com to help local students and businesses connect with each other at no cost! Click here to post or search for an internship. In addition, an annual student internship and summer jobs fair will be held in the Spring. Details coming soon!